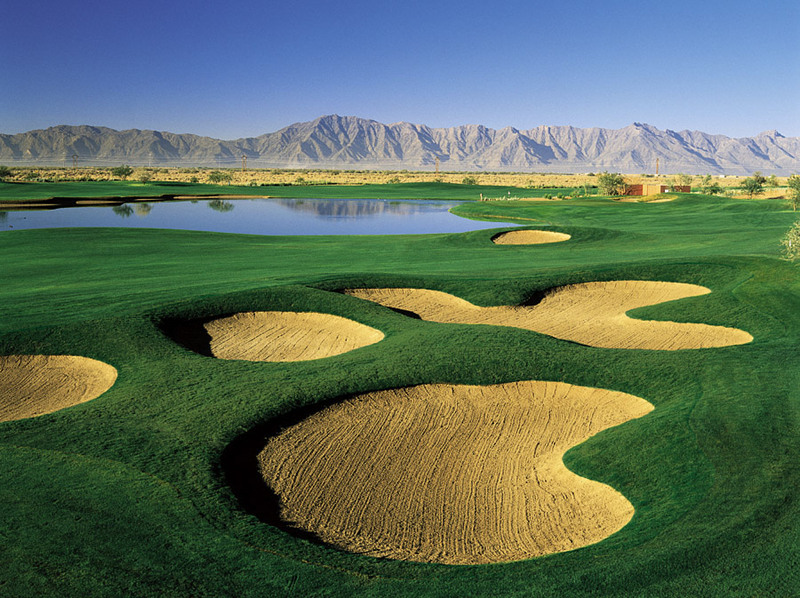 Whirlwind Golf Club is set on the beautiful Sheraton Wildhorse Pass Resort. Built on Indian land, this Gary Panks design offers 36 holes of desert golf, Cat Tail and Devil’s Claw. Both courses are equally challenging and scenic. The Devil’s Claw layout is a relatively flat layout with natural desert plants surrounding the rolling and player friendly fairways. Two water features exist on the course that will demand extra attention. The challenge lies where deep bunkers rest on the fairways around the greens. There are four sets of tee placements, which allow this course to be enjoyed by all player skill levels. The Cat Tail is the newer of the two courses. Like the original course, the terrain is flat all around; however, Cat Tail offers deep canyons off Hole # 15 and sparking lakes. Longer narrow fairways and greens undulations add an undeniable challenge. This course offers 5 sets of tee placements sure to please golfers of all types. From Phoenix Sky Harbor: Follow the airport signs to AZ-153 S. towards AZ-143 / I-10. Exit University Dr. and turn left. Continue straight for 0.3 miles and merge onto AZ-143 S. Continue for 0.8 miles and merge onto I-10 E. via exit 1A toward Tucson. Exit at Wild Horse Pass Blvd and turn right. Proceed through the entrance of the Sheraton Wild Horse Pass Resort and follow signs to course.